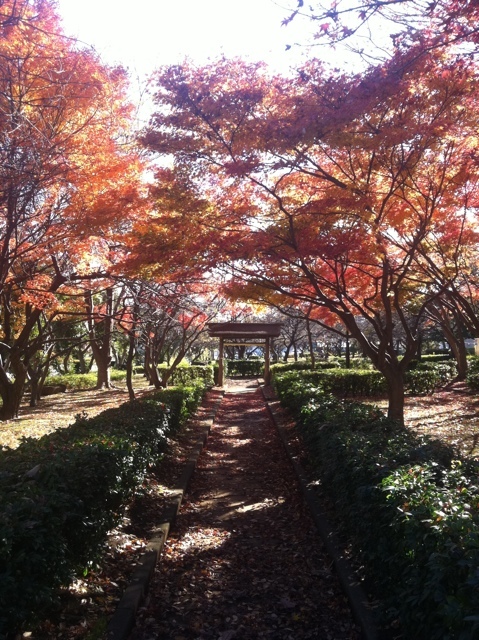 November and December is a colourful time in Japan. 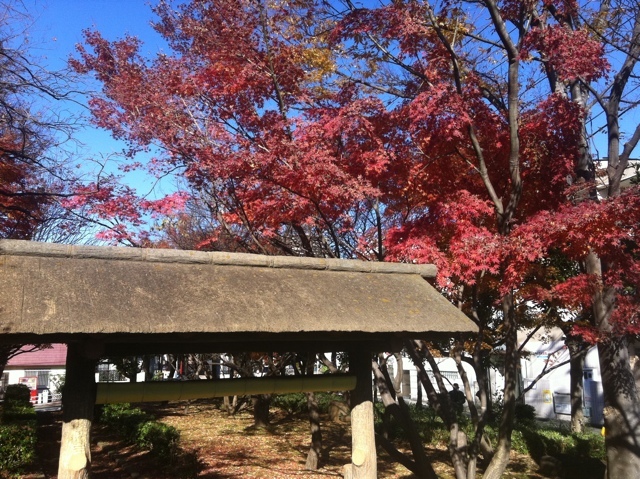 This time is known as “koyo.” The leaves are changing colour, yellow, orange, and red. The gingko trees are a brilliant yellow. The maples trees are a mix of red and orange. The cherry trees are also red, but most of the leaves are gone now. This morning, I was able to take some pictures of the trees. So, please enjoy! 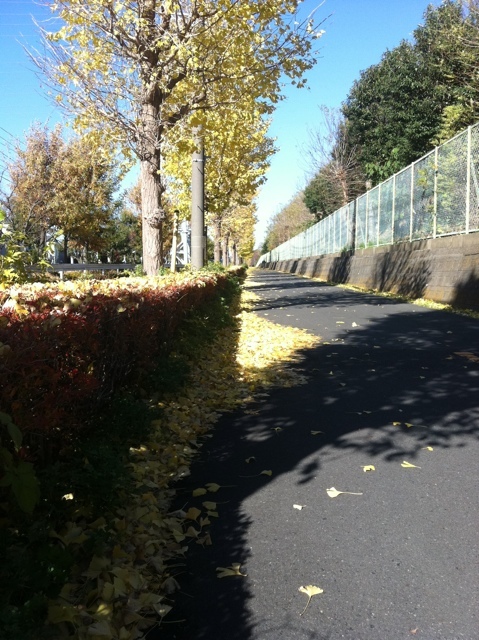 These trees are related to the gingko, and are also bright yellow. Many of the leaves have fallen off. Engyou Park in Shonandai has some beautiful red maple trees. More Engyou Park with red and orange maple trees. 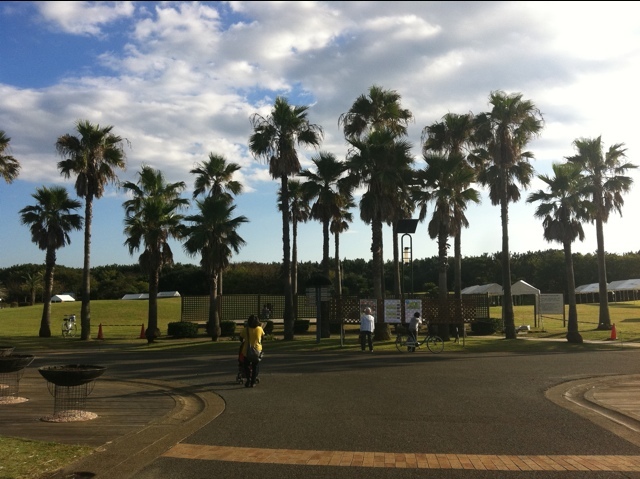 Near the beach in Fujisawa is a very large park called Tsujido Kaihin Koen (or Tsujido Seaside Park). 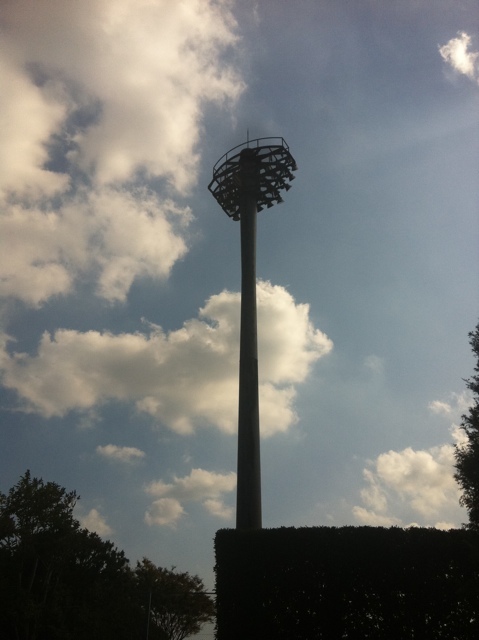 It’s used for many things, including sports, festivals, relaxing, and there’s even a small amusement park. 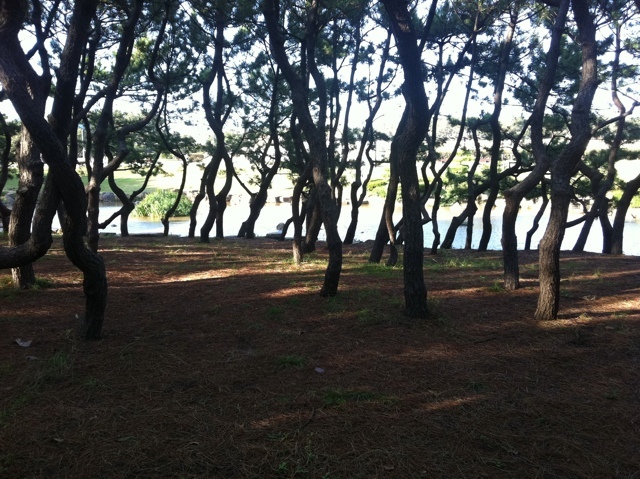 These pictures mostly show the trees of the park, including a pond area. Enjoy! Palm trees are everywhere in this park. It seems so tropical. Parks in Japan typically include a pond. 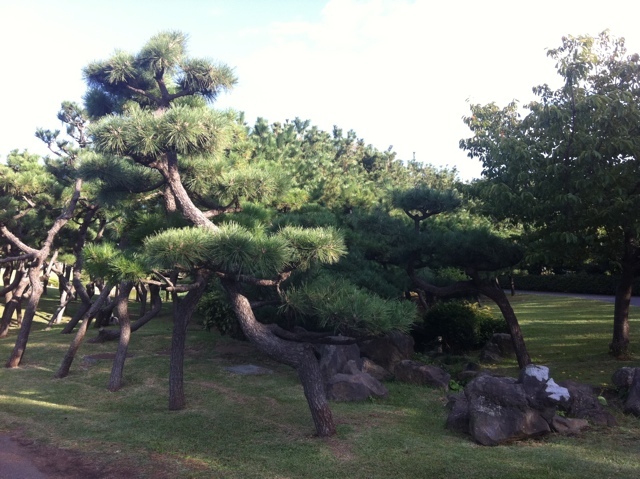 The Japanese black pine is a popular tree for bonsai, but you can find them everywhere along the coast in Japan. 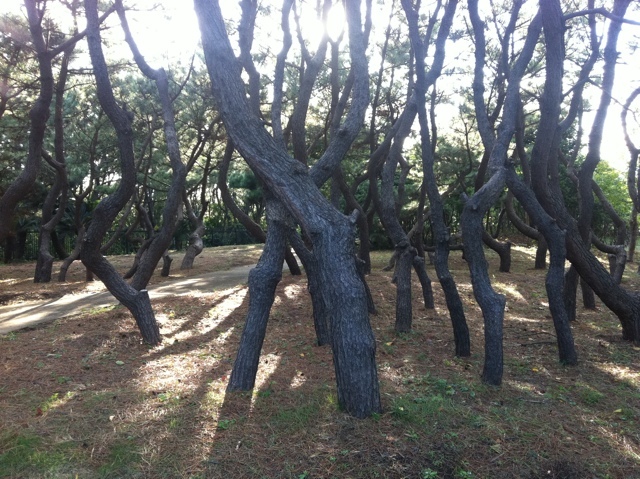 This grove of Japanese black pines shows how twisted their trunks are. 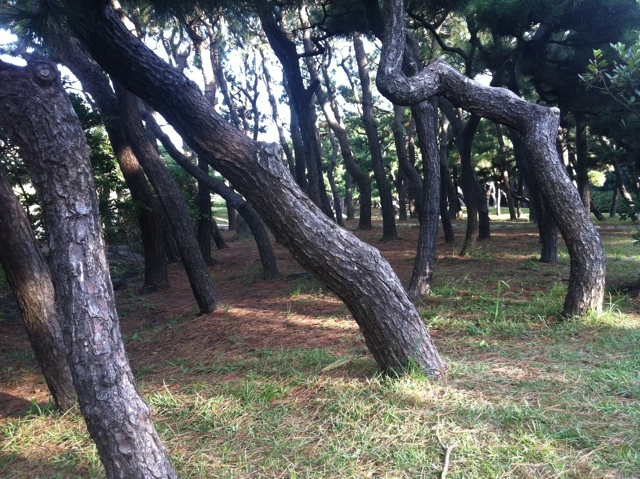 The trees tend to bend in one direction, the way the wind blows. 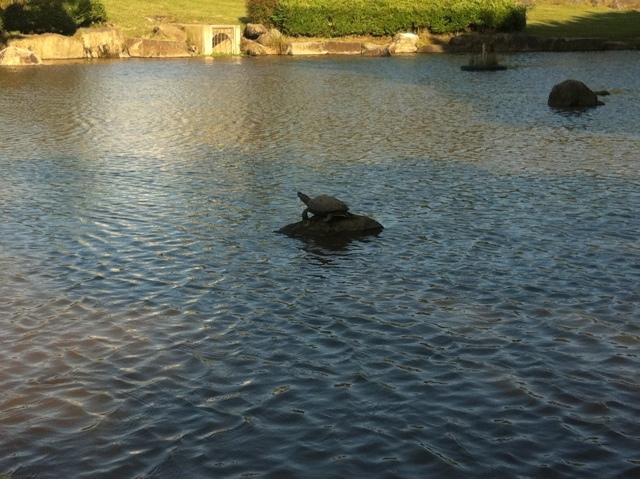 The pond contains numerous turtles, including this one. Looking back toward the pond through some Japanese black pine trees. This is only a small area of the park, and I have taken pictures of elsewhere before. I will post them in the future. After leaving the park, we went down to the beach. My next set of photos will be of the beach! There were some great waves. Here’s a view of the park from above. 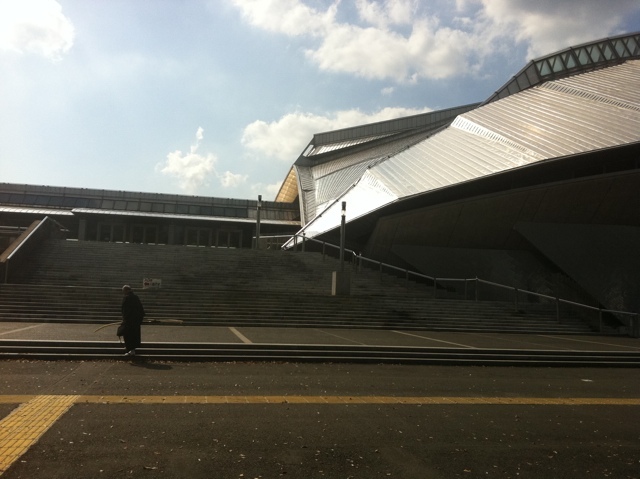 We were in the central part. 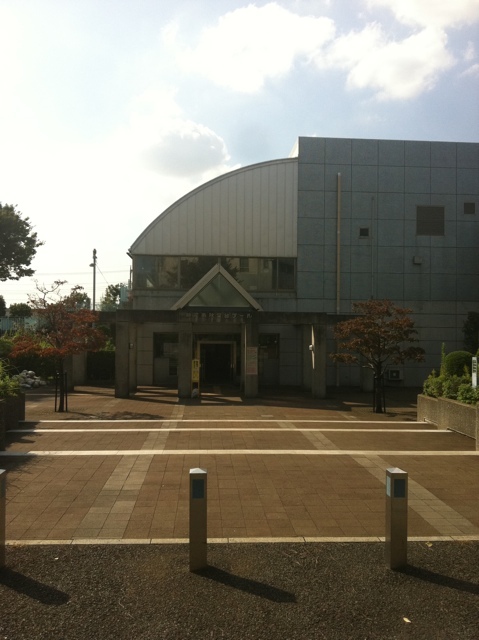 On October 12, we visited Akibadai Cultural and Athletics Centre, which is located west of Shonandai Station in Fujisawa. 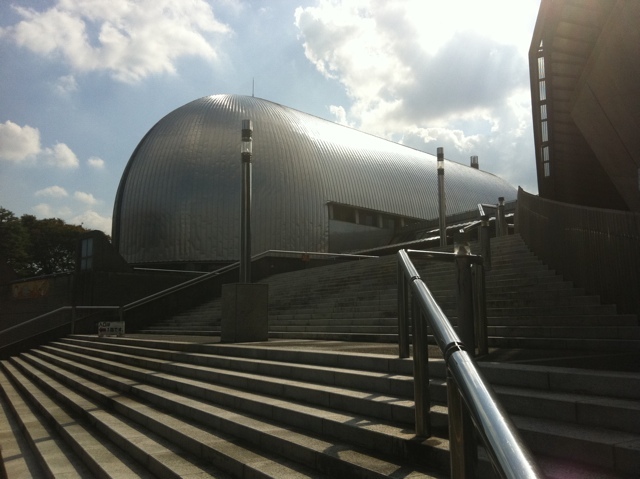 This facility has a couple of gymnasiums and a couple of pools, as well as a park, a soccer field, and cultural centre. 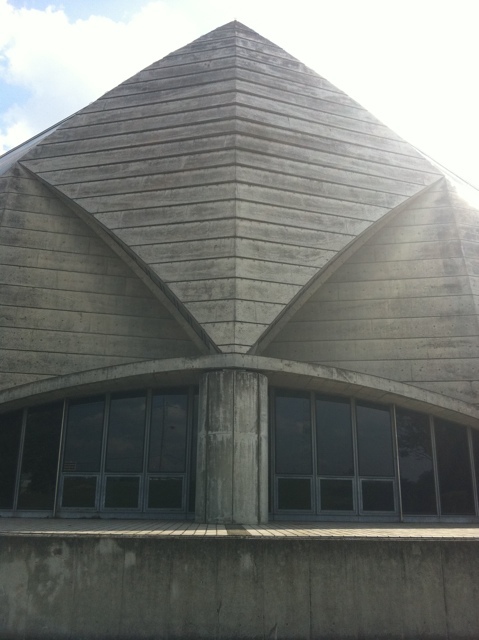 The main building has very interesting architecture which I thought I’d share. 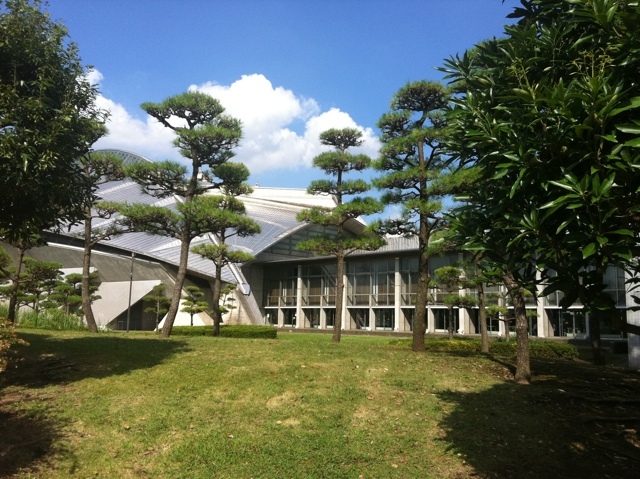 The side of the main gymnasium. The north end of the main gymnasium. The north end from a different angle. West side of the building, including the main hall area. 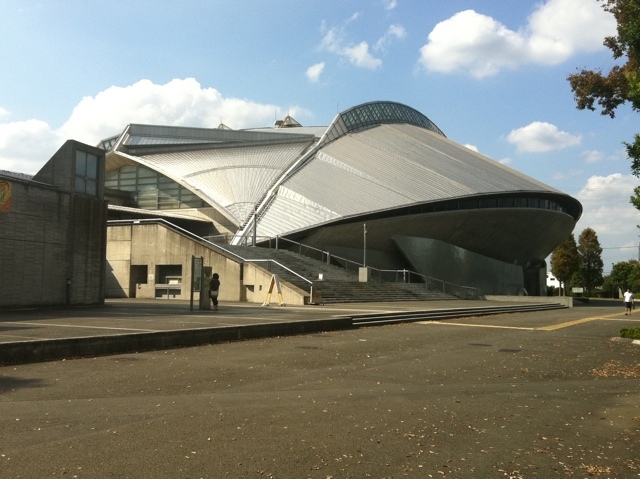 This is the south gymnasium. The east side of the south gymnasium. 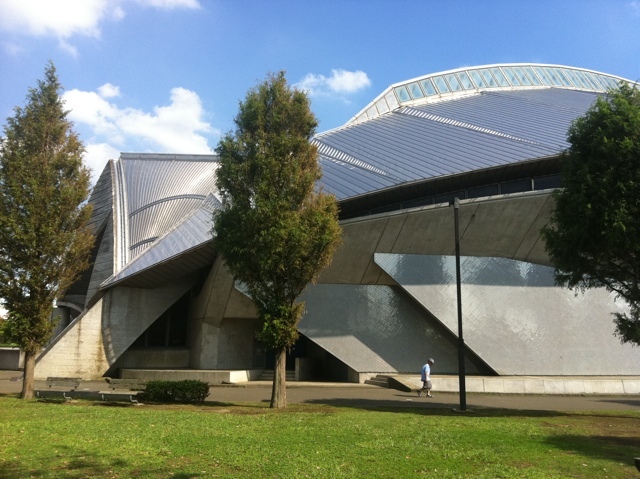 From the southeast corner of the building, the main gymnasium dominates in this picture. 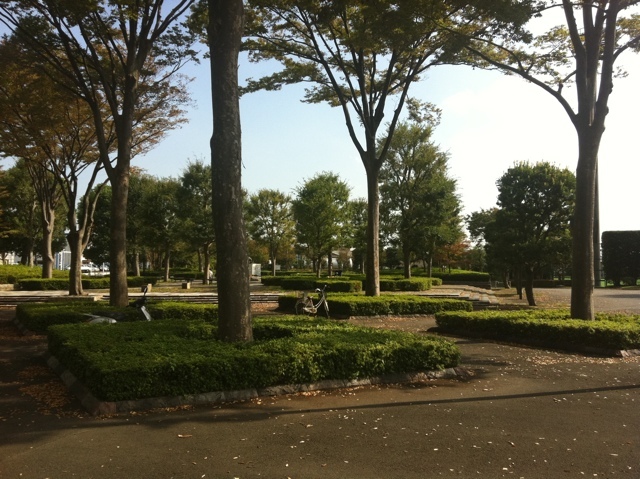 This is the main park area. Steps up to the second floor near the main entrance. The south gymnasium from the main steps. 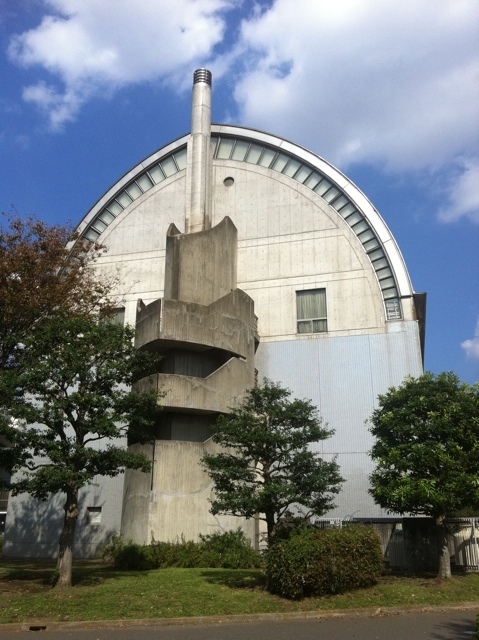 This isn’t the building, but this shows a walking route from Akibadai to Keio University and back. I want to walk this route. 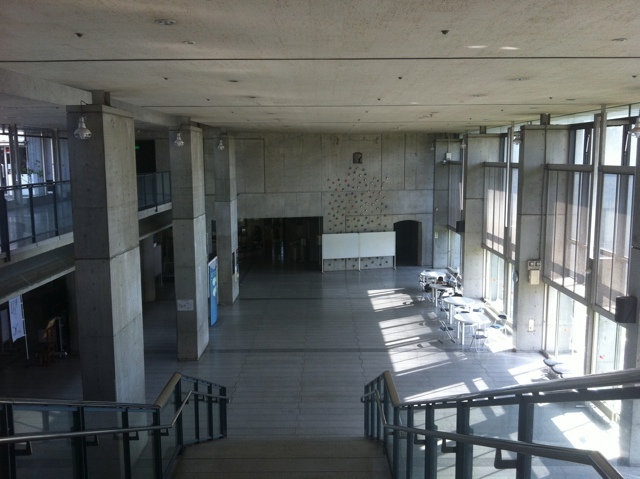 This is the main hall from the second floor. Notice the rock climbing wall? 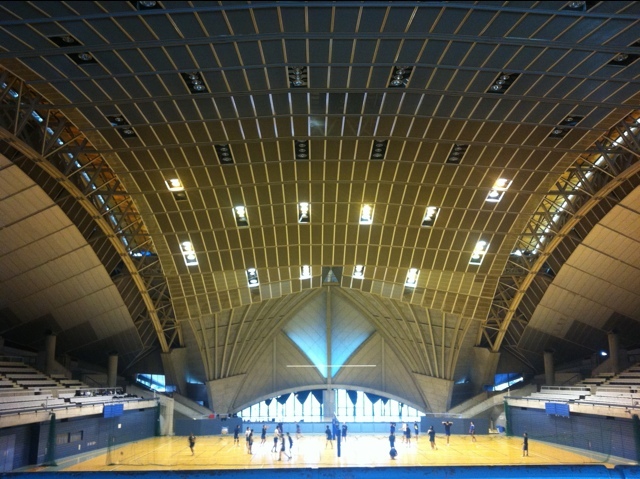 The inside of the main gymnasium. Stadium lighting at the soccer field. 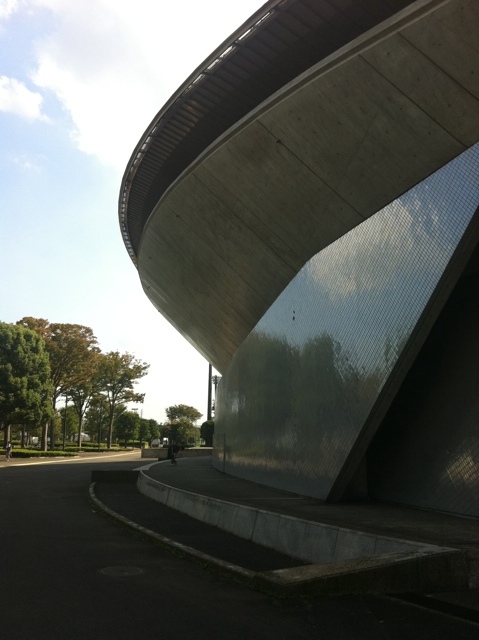 I’ve been quite surprised by the architecture at the cultural centres around Shonandai. 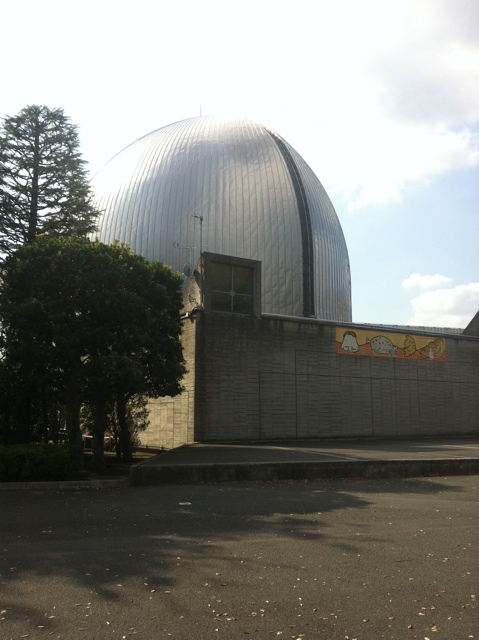 The Shonandai Cultural Centre with the children’s science museum is also quite interesting, which I will eventually post about. 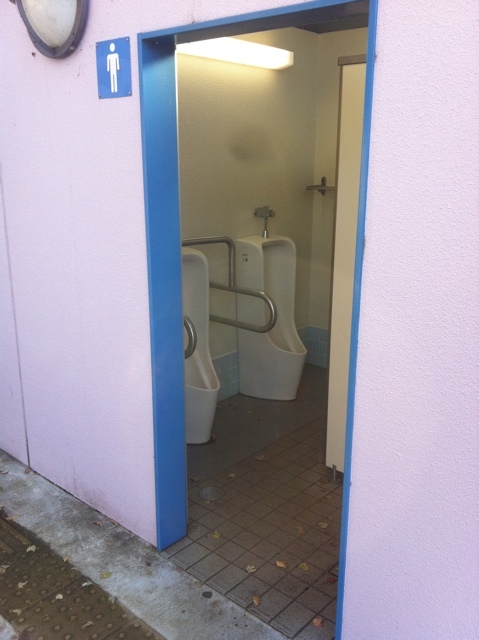 Japan is very well known for its colourful foliage in autumn. Although places like Canada have already changed colour, here in the Kanto area of Japan, we still have mostly green trees. In fact, most trees will stay green until sometime in November. Japanese maple trees are famous for their bright yellow, orange, and red leaves, but that’s not until December. 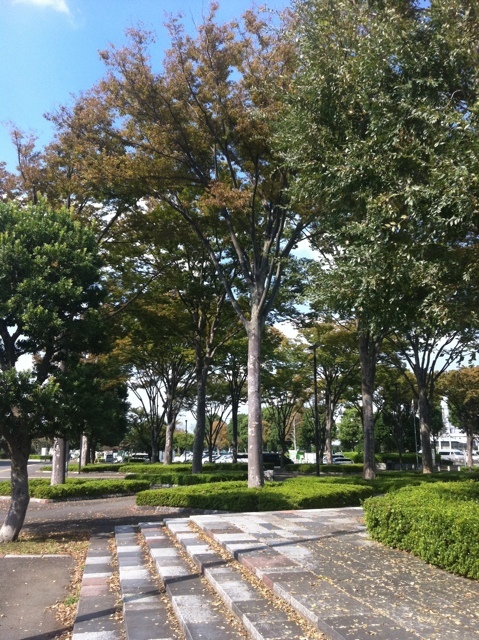 But now, the ginkgo trees are slowly changing to a light green, while the cherry trees are showing some red leaves. 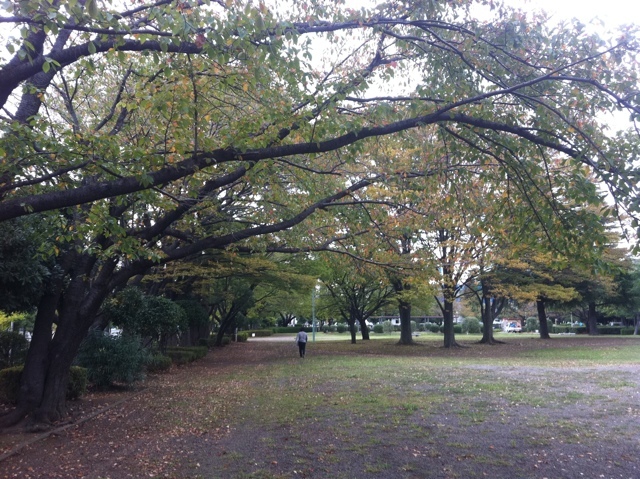 This is a picture of Kirihara Park with its many cherry trees beginning to change colour. These cherry trees are showing new colour. Today, my wife and I brought our daughter to the park near our apartment for a little fun with blowing bubbles. The park is very well used. In the early evening, many dog owners meet there to allow their dogs to socialize, and many children play there in the late afternoon. 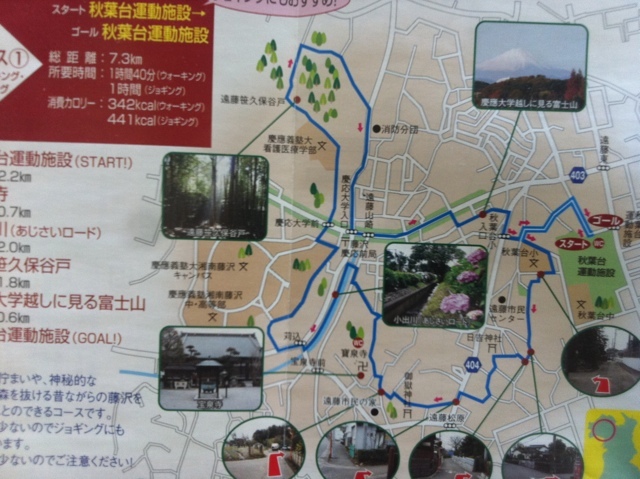 There’s also a 250 metre track that’s great for joggers and walkers. Since we were with our daughter, several women approached us and couldn’t stop saying “kawaii!” They kept talking and talking about her. 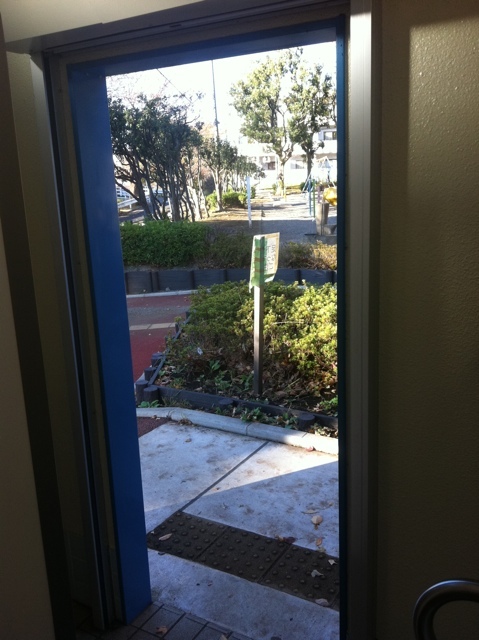 However, there was one person who approached me and wanted to talk to me. That seemed to satisfy her, and she went back to playing. Later on, as we were leaving, I made sure to say good bye to her. Our neighbours seem to be very kind and friendly. Even though our area isn’t the most beautiful, it does have some very nice people. Cherry blossoms were late to bloom this year due to the colder than usual winter and early spring. But they finally bloomed! 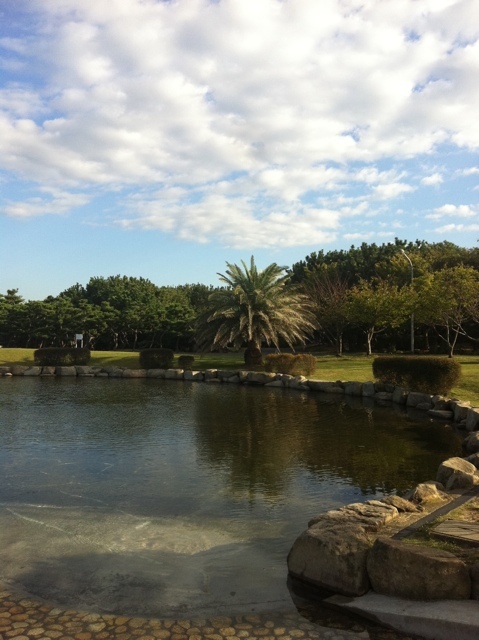 I took this picture yesterday at Hikijigawa Shinsui Park (引地川親水公園) along the Hikiji River. Unfortunately, rain later this week will likely end the short cherry blossom season. 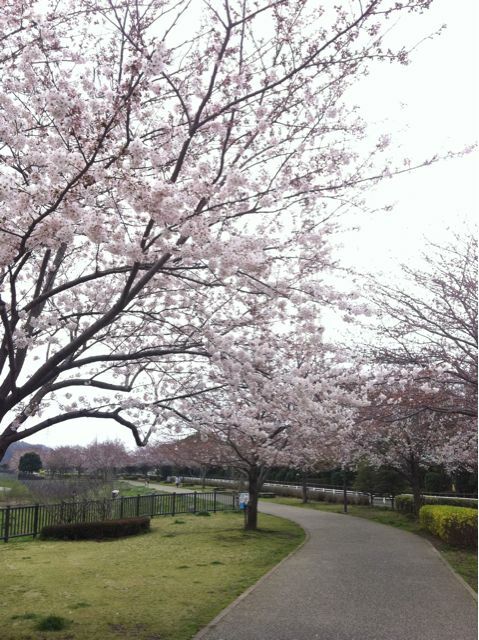 The cherry trees were blooming between 20 and 80% yesterday. Not full bloom yet.